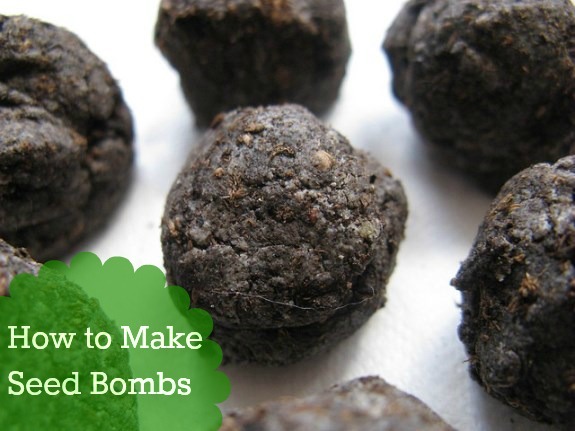 How To Make Seed Bombs | How Was Your Day? This post brought to you by Miracle-Gro. All opinions are 100% mine. 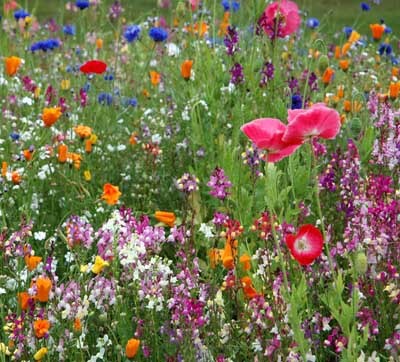 Gardening can be fun and exciting. Personally, I’ve always been kind of jazzed by it, but my parents met at college – an Ag college. And they’re both free spirits. Sooo…my childhood experiences are kind of different than most peoples. While I think it’s exciting to know that the seeds that are sown are going to turn into tasty veggies, vivid flowers, and flavorful herbs and spices, some people need a little more instant gratification. That’s where thesefun garden projects from Miracle Gro come in. Depending on what floats your boats, Miracle Gro’s The Gro Project has a series of super fun gardening projects. They’ll teach you how to grow your own herbs, make seed bombs, plant a terrarium, even how to make a macramé plant holder. We're gonna make seed bombs! Mix equal parts potting mix, clay and seeds in your bucket. Grab a handful then roll into a small ball, about ¾” in diameter. Add water as needed, to help your mixture stick together. Place the balls on a tray and dry them in the sun for a few days. I have also placed them of the shelf above my clothes dryer to dry. Throw down on the ground! Get them off to a good start by feeding them Miracle-Gro® Shake ‘n Feed® Plant Food every three months. Since you will probably have extras, why not pass these along to your friends? Place them in a pretty paper bag, an organza bag, or wrap in cheesecloth and ribbon to make a pretty presentation. For even more great gardening ideas, you can check out the Miracle Gro Pinterest page.